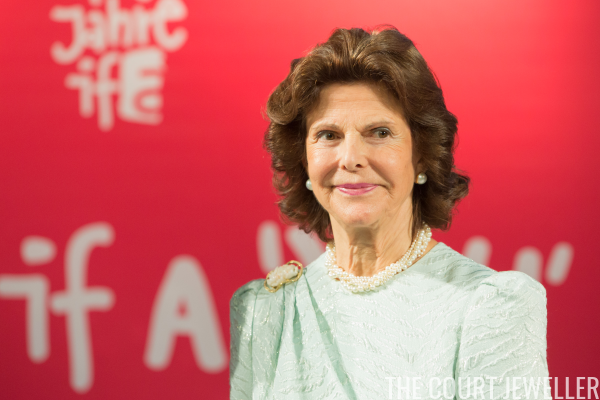 Queen Silvia of Sweden was in Berlin on Tuesday to receive the Theodor Wanner Award, which recognizes her commitment to social issues and human rights engagement. 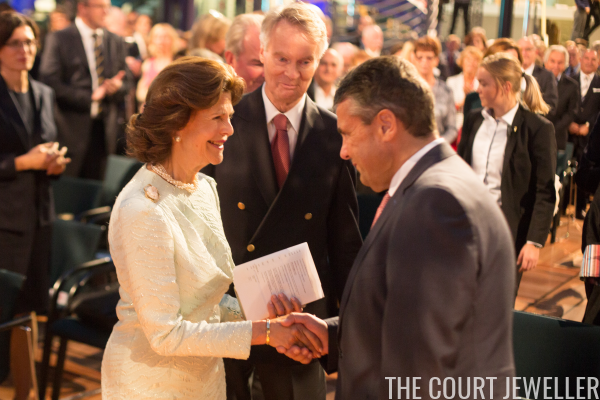 For the event, Silvia chose understated jewels: pearl button earrings, a twisted pearl necklace, and a modern brooch. 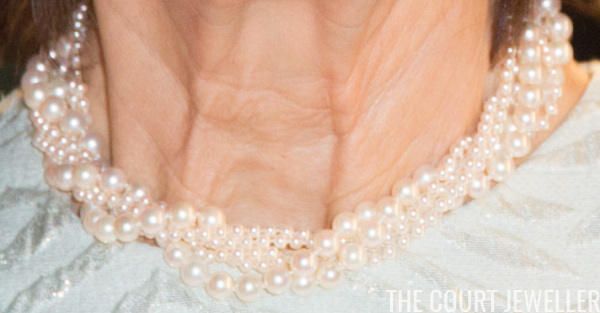 Here's a closer look at the necklace, which features various strands of differently-sized pearls twisted together. 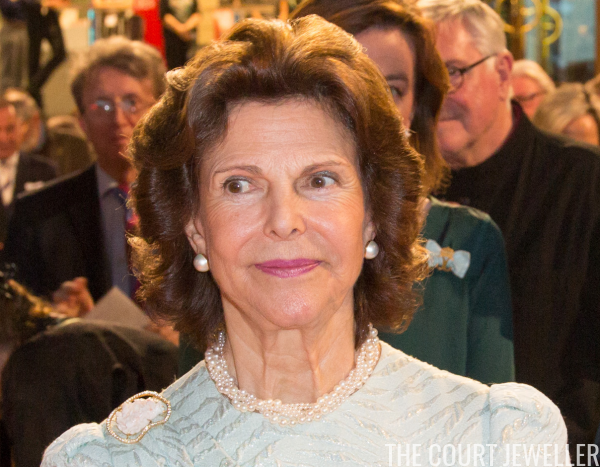 And here's another view of the brooch, which Silvia placed at the shoulder of her dress.